I have wide experience in teaching chess to all levels and ages on-line and in real life. Also I firmly believe in individual approach to each player and try to focus on and improve one's weaknesses, mainly through analyzing his/her games and learning from his/her mistakes. Of course, other aspects of the player's game are also improved upon necessity. Languages: English, Russian, Hebrew. I have wide experience in teaching chess to all levels and ages on-line and in real life. Also I firmly believe in individual approach to each player and try to focus on and improve one's weaknesses, mainly through analyzing his/her games and learning from his/her mistakes. Of course, other aspects of the player's game are also improved upon necessity. 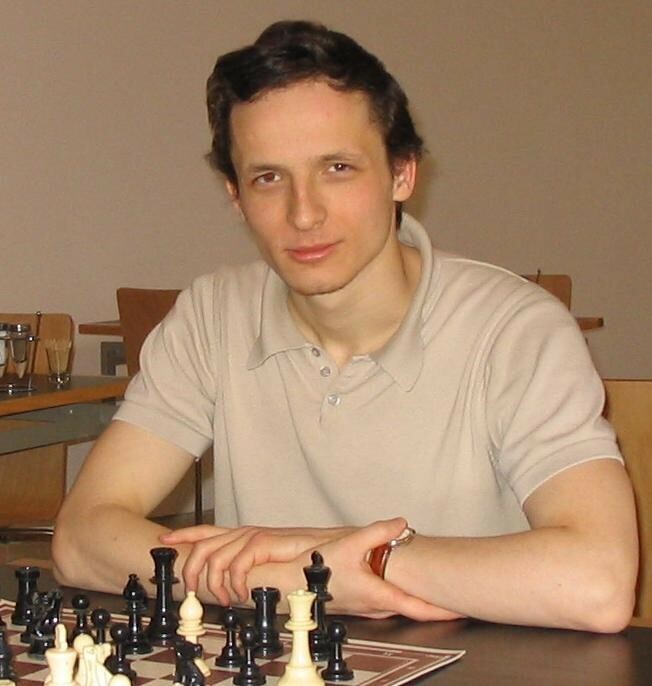 Being an IM (international master) and a former Europe youth champion, I have considerable chess knowledge and more importantly - teaching ability and a way to put complex things and ideas into simple words. The lessons are usually conducted in ICC, and optionally, Skype / other voice or instant messaging apps + WebCam, and from my experience, the best timeframe is two hours each lesson, once or twice a week. The rates are flexible and negotiable and also depend on the payment method. Usually, we reach a mutually beneficial agreement. I have a flexible schedule, and available to teach during many times. Feel free to contact me, if you are interested. Send me a private message here or email me to kundin@zahav.net.il. Since learning chess at the age of 5 I couldn't live without this fascinating game. 29 years of experience and specialization in playing at various tournaments in Russia, Israel and other countries. Teaching chess, on-line and in real life, in English, Russian and Hebrew since 16 years old, to all ages and all levels. Individual / team work in different frameworks in Israel and other countries. GM Valeri Beim (ELO ~2550), GM Boris Alterman (ELO ~2600), GM Alexander Huzman (ELO ~2620), GM Lev Psakhis (formerly twice USSR champion with Kasparov, ELO ~2600), GM Boris Gelfand (ELO ~2750), IM Mark Dvorezky (ELO ~2400, one of the most famous coaches in the world), IM Tibor Karolyi (ELO ~2450, the Hungarian trainer of Peter Leko). Attended numerous seminars conducted in Israel for young and promising players. Gave many simultaneous games against different number of players of varying levels. Played against Kasparov, Aronian, Radjabov, Bacrot, Fressinet, Vallejo Pons, Korobov, Rodshtein, Postny, Smirin and other elite players. Have worked as a chess journalist in a nation-wide sports newspaper, have been working for Chess Base, Chess Informant and the Israeli chess journal as a writer and annotator. Conducted webinars, videos and coached students from ICC, Chess.com, RCA and independently. In 2016, worked full-time at powerchess.org, teaching beginners up to 2150, from the age of 4 to adults, tutoring best Singaporean chess youth. 7 medals at European and World youth championships, including winning the European youth championship under 16, the World championship for students, dividing 1-3 place with Radjabov and Postny at European youth championship under 18, bronze medal (after Aronian) at World youth championship under 16. An IM, currently playing mainly in the Israeli first league and for the Israeli Open University. I will teach you lessons privately through Skype or chessbase or Playchess.com and I can also teach you by sharing screens in skype. It is the most helpful thing for you to learn. By taking a private on-line lesson, you get the most personalized form of training available on the internet. By choosing this training method you will receive four instructional training sessions from me and this is the quickest form of improvement. You'll track your development over time and across five main areas: speed, memory, visualization, pattern recognition and problem-solving. This information helps us quickly identify strengths and weaknesses in your chess. I will make a lecture to persons needing lectures. By taking a personalized video lecture, you make a smart decision to accommodate your busy schedule and relax while improving your chess. This is the best option for anyone who doesn't have time to reserve and show up for real-time lessons. You can watch your personalized lecture anytime and anywhere, and neither special software, nor stable internet connection is required. Enjoy! By ordering a thorough game annotation, you can have your games analyzed by IM Alex Kundin in a short 20-minute video lecture, full of instructive advice peculiar to your games and conveyed appropriately to your chess level and playing style. By ordering a training game with instant analysis, you get to play a real game against IM Alex Kundin at a decent time control, as well as have your moves carefully analyzed and screened for various weaknesses. You will get no less than a real interactive lesson, a bunch of instructive advices, and nice chess experience, all in one game that you will remember. You have an important tournament coming up soon? Get this great service on-line and baffle your opponents! You would have one of the best chess trainers online working for you any time during your battle to the top. I can give you any information about the weak points of your stronger opponents, provided they have games ever uploaded online or you give your coach a few. IM Alex Kundin will prepare a special opponent profile for almost anyone, which will include everything, from their preferred openings with black and white to how badly they lost last year to a guy weaker than you! Come get your personal tournament coaching now and you will be tomorrow's rising star.